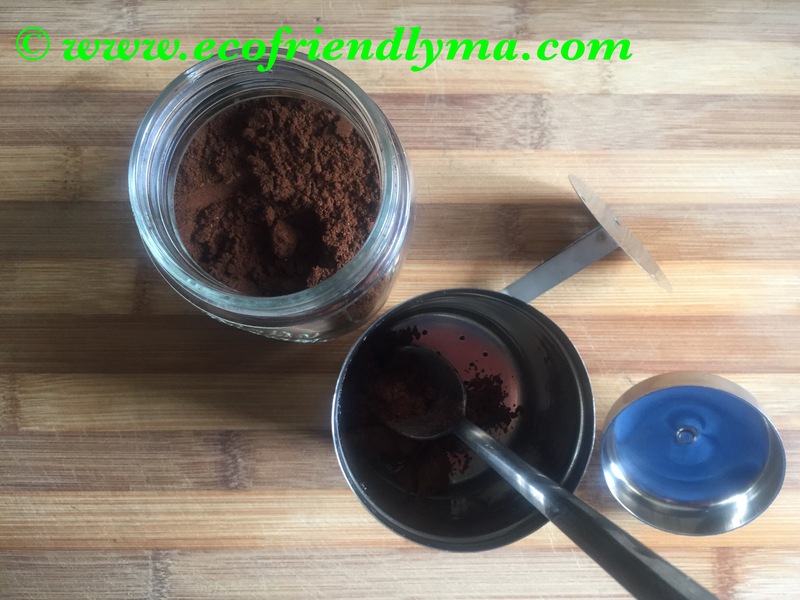 How to prepare the coffee decoction? 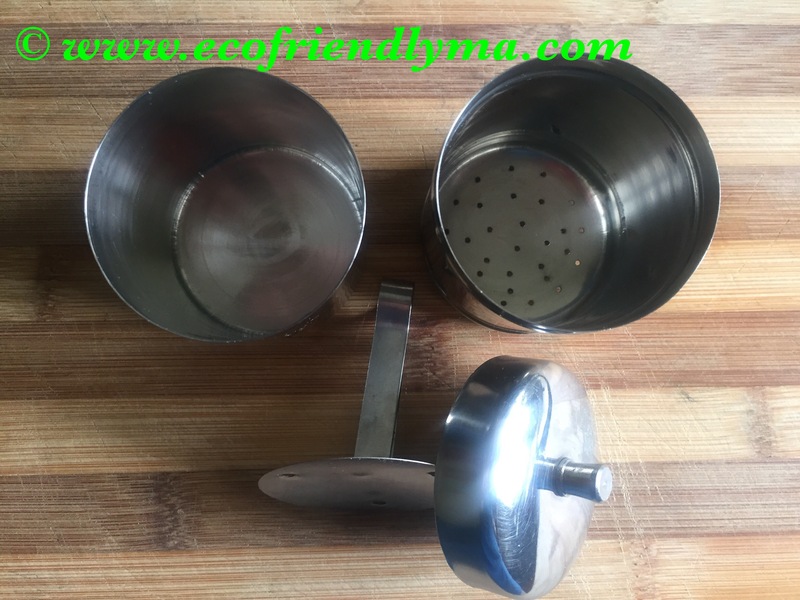 Take a stainless steel coffee filter, it consists of 2 cylindrical vessel – bottom one for collecting brewed coffee decoction and the top one with perforated holes for adding ground coffee powder, pressing disk and a lid. 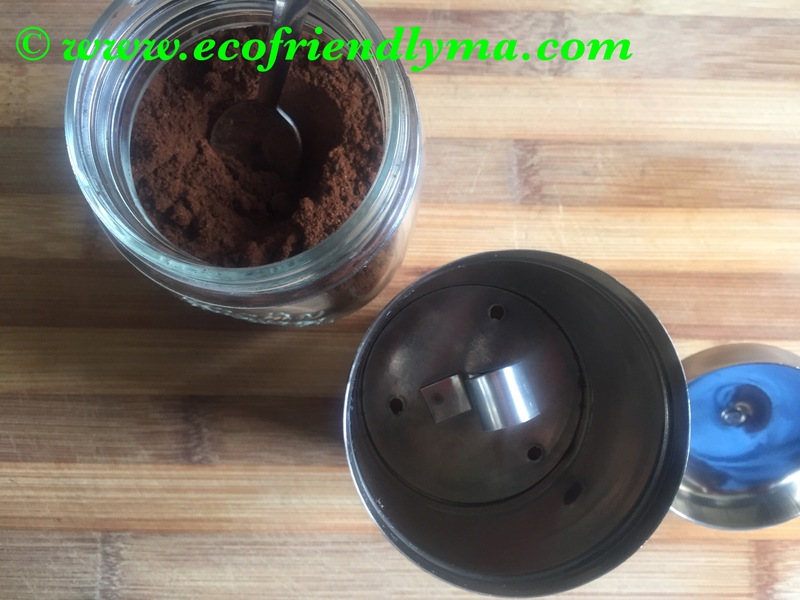 Add in 2-3 tsp of fresh ground coffee powder into the top cylinder with small holes. Tap once and using the pressing disk press tight. Instantly boil water using and electric kettle and pour slowly into the top cylinder of the coffee filter. Cover the lid and leave it undisturbed for 10 minutes. 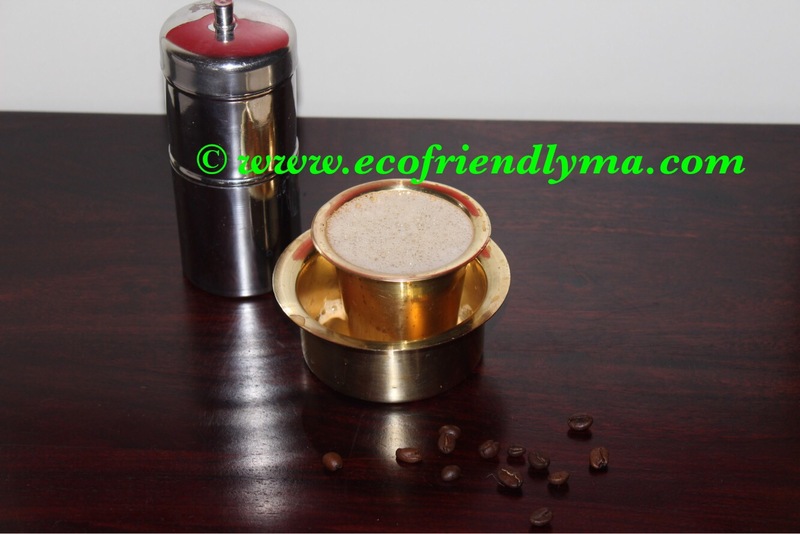 How to prepare filter coffee? When it comes to boil add in sugar. Add 1/4C of coffee decoction. 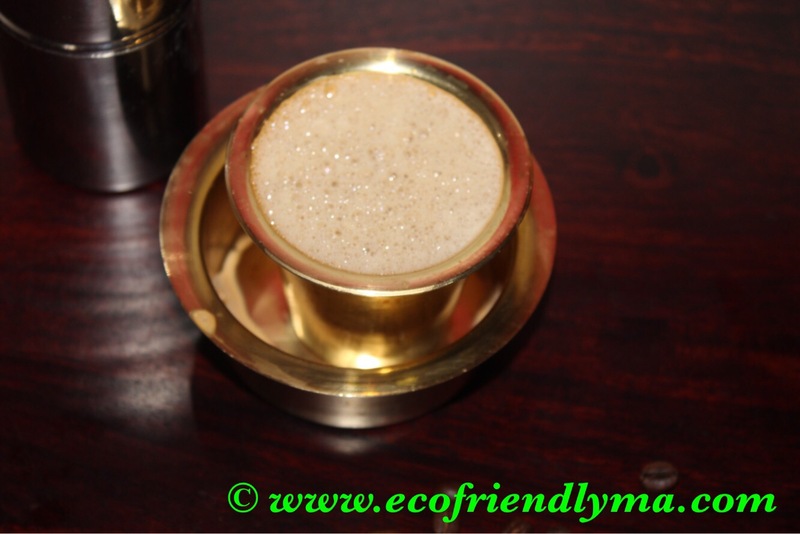 Pour into the tumbler & then to the dabara and mix once for a frothy filter coffee! 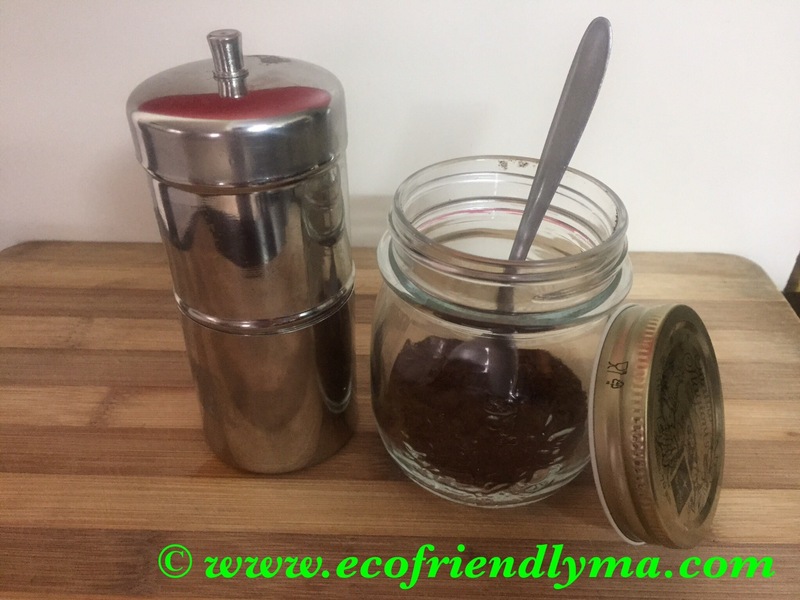 Hmm every mornings I am enjoying the aroma and my hubby the coffee 😉 and bonus is that it a complete zero waste affair – no package involved & no trash left!! Liked the post? Do give it a thumbs up 👍 and subscribe for post updates.